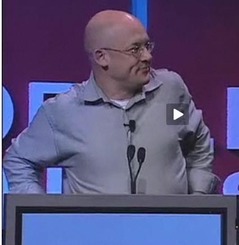 A bleak struggle with my inbox and the general abundance of articles like this about information overload, reminded me of this talk from web theorist and author of Here Comes Everybody, Clay Shirky. Shirky tells us it’s not the amount of information that drives us crazy, it’s the failure of filters to sort it properly that gives us grief. Which reminds me to sort out my gmail filters. Over the past 15 years complaints about information overload have told the same story but Shirky believes we should stop throwing our hands up in horror at the ever increasing amount of information in the world, and start rethinking the structure of our filters. Heck, according to Shirky, we’ve had information overload since the printing press, since we had more books than any one person could read in their lifetime. small groups defend themselves against free riders.large groups don’t. if you have a problem for a long time, maybe it’s not a problem, it’s a fact. what filter did just broke? i really enjoyed the 22 minute film. it gives a very creative and new perspective on “information overload” and it makes you think that , information overload may just not be the problem or a problem at all.